Picking a fishing reel that fits your needs can be tough with so many fishing reels hitting the market every year. Even the most skilled and professional anglers have problems keeping track. We wanted to make things a little easier for you, so we tried out a number of different fishing reels in real situations. Our conclusion is that there are a couple of excellent products and a few of them stand out in the fishing reel market. It has been a strong couple of years for the reel manufacturers, and we will talk about the best fishing reels in different categories a little later on. Fishing reels are an important part of every angler's fishing equipment because your success depends greatly on the performance of your fishing reel. There are plenty of reels to choose from on the market, but how can you find the best one for your needs? The best option would be to take a dozen of them fishing and try out each one, but since that would be expensive, there are still some basic guidelines which you can follow to get the best fishing reel you need. Shimano Stradic FK 2500 8.3 Oz. 6.0:1 20 lbs. 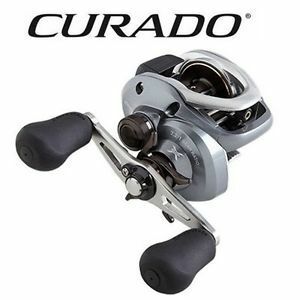 Shimano Curado IGH 7.4 Oz. 7.1:1 and 6.3:1 12 lbs. Penn Spinfisher V 6 Ball Bearings 20-40 Lbs. Piscifun Sword 5/6 wt 4.7 Oz. 3.4"
There are all kinds of fishing reels that were designed for a particular use. 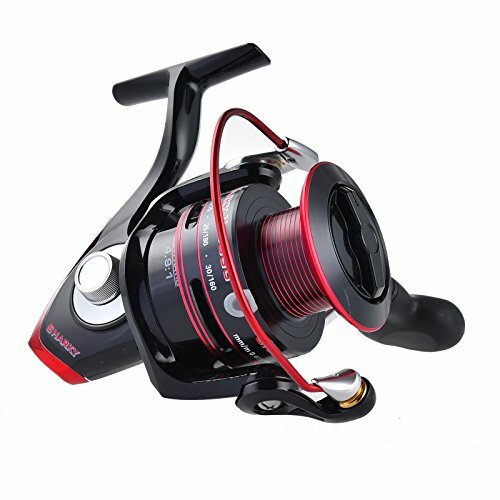 For example, there are fly fishing reels, baitcasting reels, spinning reels, spincasting reels, surfcasting reels, trolling reels and so on. Think about the type of fishing you are going for and start narrowing down your search from there. You will also need to consider features like the material they are made out of, the drag they produce, their size, and a couple of other important things you have to think about before making your final decision. Continue reading, and you will find out more information on what makes a fishing reel good and reliable. Choosing the cheapest option is not always the best move. Having a good fishing reel can make a huge difference in your ability to land trophy fish. The spinning reel is as important as the rod you are using when fishing, but many people are not aware of that. A good, high quality fishing reel is much less likely to fail at a critical time. Also, try to buy a reel that is made out of sturdy and durable materials like aluminum because they will last much longer and they can be used in both salt and fresh water. The size of the reel also plays a really important role. For example, if you want to catch big, heavy fish, you need a big reel that can handle the strain and still perform as it should. The worst thing that can happen to you during a fishing trip is having your equipment give up on you. You need a reel that won't tangle your line, and that is fast enough to enable you to catch the fish before it breaks loose. Because of these reasons, you should consider getting a fishing reel that is in the medium price range at least. Cheap fishing Reels often cause problems that make fishing very hard. Gears and bearings are also very important so try to avoid reels with plastic parts gears because they tend to break very quickly. If you are aiming to invest some money in your equipment, the fishing reel should be a priority. Getting the best fishing reel that fits your needs can be hard with so many products available these days. That is why you need to consider a couple of factors before buying a reel. 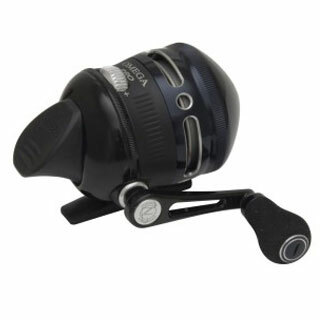 We will go through the most important factors you should look at when purchasing a fishing reel. The body of a reel is also called reel housing, and it is made out of aluminum or graphite. Aluminum housing is stronger, but graphite is more flexible. Always make sure that the reel is nice and firm. The moving parts should be working smoothly. Choosing the right reel size is important, and it's not that hard. The size of the reel is determined by the size of the line. If a line is light, you need a smaller reel. This depends on the size and kind of fish you are after. The handle of a fishing reel can make a huge difference in your success. Most quality reels feature a handle that can be moved from the right side to the left. The spool is the part of a fishing reel that holds the line. They are made from aluminum, polished graphite, or plastic. A good spool should be able to hold enough line for the type of fish you're going after. Bails allow and prevent the line from spooling out. They are mounted on the reel, and they are controlled either with a button or manually. Drag is one of the most important features of a fishing reel because it allows the line to play out with almost no resistance. Quality fishing reels need good drag to function properly and to enable the angler to use the fishing rod in the best possible way. These are the most important things you need to keep in mind when buying a reel, but the most important thing that almost always tells you about the quality of the reel is the material it's made off. Reels with plastic parts are not that good at all. To be a successful angler, you need a right combination of rod, reel, and line. You need to know that there are different types of reel designed for a particular type of fishing. If you want to fly fishing, you need a reel designed for that. Spinning reels are also known as open-faced reels, and they are meant for all types of fishing (except fly fishing). 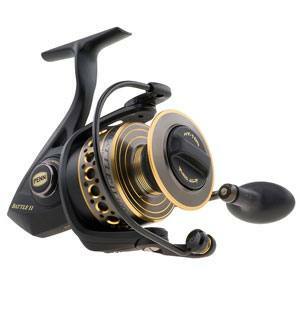 Super light spinning reels can handle light and heavy lines without problems. One of the biggest problems with a spinning reel is the possibility of your line getting bad line twist. This can happen because of the way the line is rotated onto the spool by the bail..
Line twist can be avoided by spooling your line properly. Also make sure not to ever reel against a fish while it is pulling line away against the drag. The spool on a spinning reel usually oscillates forward and back in order to place the line evenly on the spool. Most spinning reels feature a handle that can be switched from the right to the left side. Spinning reels are generally the most common types of reels used by fishermen throughout the entire world. With this in mind, the Shimano Stradic Spinning Reel comes with a hagane cold forged drive gear alongside ported and machined aluminum spool which brings splendid durability and is kept within conveniently lighter weight to promote comfort and convenience. One of the premium features of this spinning reel is the bearing system. It contains 6, premium double-shielded stainless steel ball bearings placed in very key locations. Paired with the very smooth front drag system. The casts and retrievals are easier and more seamless than ever. There are oiled felt washers with drag adjustment which is audible to ensure that you can conveniently change it depending on the current fishing conditions. The main shaft as well as the majority of components are durable and corrosion resistant. The handle is also made out of machined aluminum and it comes with a rather soft touch knob for enhanced comfort and ergonomic appeal. The line roller is with a larger diameter, enhancing its overall capacity yet not that large to be inconvenient. Additionally, there is a titanium coated spool lip conveniently located to protect your line even further. The reel comes with everything you might need, regardless of whether you’re going salt or freshwater fishing. Baitcasting reels include a streamlined, low profile housing. A line guide called a level wind moves the line from side to side as you reel. This allows the line to be reeled onto the spool evenly instead of all on one side. Most smaller baitcasting reels have two grips..
Baitcasting﻿ reels come in many sizes and are often used by anglers in both saltwater and freshwater. Baitcasting demands equipment that is made of materials that are robust and sturdy and the same goes for reels are controlled with a button. Baitcaster reels are meant for anglers that want to catch large fish because they can handle over 80-pounds of fish. These reels often include multiple bearings and variable gearing. They also feature an anti-reverse system that allows the spool to turn the other way and spool the line out slowly. You can shut that off with a small lever that is located next to the spool. The Curado series is known to be amongst the most successful ones recently released by Shimano and the 200 I Baitcaster manages to continue the legacy. Made out a with notably more prominence and performance capabilities, it’s obvious that Shimano had placed a lot of the emphasis towards durability. This is a truly next-gen baitcasting reel which reflects that attempt. Smoother functioning amongst a whole new level of diversity are just some of the things which await with the Curado 200I. The reel integrates the brand new X-Ship technology which is designated to seriously improve the gear durability of the reel. This is done through meticulous gear alignment between the main gear and the pinion. This is evident mostly under seriously heavier loads. This integration translates to notably increased gear efficiency and it’s also going to reduce the overall friction between the main gear and the spool shaft, enhancing the performance with lighter lures as well. Obviously, this will also increase the longevity of the model. The improvements don’t stop there, though. The 200 I Model of the Curado series also comes with a brand new SVS Infinity Brake System. This is going to provide you with consistent and infinitely adjustable spool control alongside imminent brake force. The dial features six settings which are externally adjusted, furnishing a previously unknown level of cast control. The S3D Stable Spool Design, on the other hand, takes the casting capabilities to a whole new level. 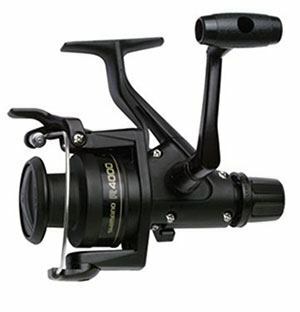 The reel comes with a rather fast gear ratio of 6.3:1, ensuring comparatively quicker retrievals. This is a 6-bearing system, 5 of which are anti-rust bearings and one of them is a roll bearing. This will ensure flawless movement of the reel. The smoothness of your casting and retrievals is also complimented by the Cross Carbon Drag system. In terms of comfort, the offset handle design with a center clutch ensure that everything is handled as per the highest standards. 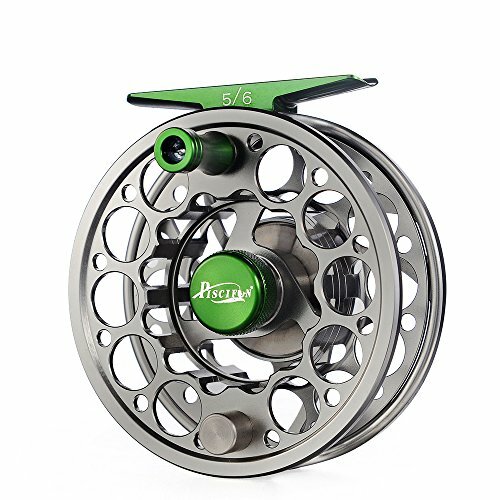 Fly fishing reels are unique in their design and use; they are entirely different from all other reel types. They are made up of a very large spool that has a grip attached to the outer side, and there are no internal gears. These reels are made to be durable and light so that anglers can whip the rod to mimic the natural movement of insects. Some fly reels are fitted with an automatic winding mechanism. They are designed without handles, and the line is pulled with a spring loaded mechanism. The reels that are used for fly fishing are not the best option for a beginner because they demand the use of advanced fishing techniques. The design of the fly fishing reel makes it light and easy to hold in your hand, but the whipping action can cause snarls for a novice. It goes without saying that this is probably amongst the best fly fishing reels that money can buy when it comes to performance and the overall quality of the build. That’s a product which has been praised by a tremendous amount of users throughout the entire world and especially by fly fishing enthusiasts in Canada and USA. Let’s start with the most obvious thing – the absolutely flawless design. There are three variations in terms of colors – gunmetal, gold and black, depending on your preferences. All this comes wrapped up in corrosion resistant CNC-machined 6061-T6 aluminum alloy frame which is specifically designated to withstand the challenges of fly fishing. The model is cold-forged, as if it wasn’t durable enough. The mid-arbor design is also something which allows quicker and easier retrieves which is undoubtedly a must-have when it comes to fly fishing. The multi-disc cork as well as stainless steel drag system assures smooth retrievals and convenient casts. The reel doesn’t make a noise which adds up to the overall quality. The bearings are perfectly protected thanks to the Split Spring integration. There is also a one-way clutch bearing which will provide smooth and almost immediate drag engagement. However, if you want a different retrieve, this one-way clutch can be easily reversed. Obviously, it’s a great option, suited for both salt and freshwater fly fishing. It is easily adaptable to different spots such as rivers, lakes, creeks or streams. You will also be able to fish for a range of various species such as salmon, redfish, light or sea trout, bass and normal trout. The exquisite appearance of the unit would truly make your fishing buddies a bit jealous. Saltwater reels are spinning reels that can be used for saltwater fishing. The difference is the fact that they are designed to be used in saltwater. They are made out of materials that can withstand the corrosive effects of the water. Most of the models that fit in this category are big and robust because they have to stand up to the pressure of big fish. If you are a saltwater angler, you know that you need a dependable reel if you want to catch a whopper. The market for saltwater reels is huge, and that only makes it harder for you to pick a reel that is not too expensive but still gets the job done. Saltwater reels vary in size and strength, depending on the kind of fish and it's weight. This reel got introduced with the Spinfisher V series back at the ICAST 2012. 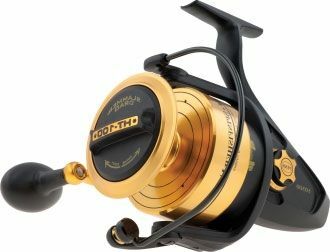 It is still one of the best saltwater reels as it provides everything you’d need at a comparatively affordable price point. The reel comes with six different seals in the convenient Watertight Design which is designated to keep water conveniently out of the reel. However, cranking it underwater is not recommended as you’re likely going to end up with water in the reel, hence causing a lot of further headache. It comes with a sealed Slammer HT100 Drag system which is set to provide you with a maximum drag of 20 pounds. Furthermore, the reel comes with 5+1 bearings which are made out of high-end stainless steel, guaranteed to produce splendid and smooth movement of the reel. The ratio of this reel is set to 6.2:1 which is above average and will deliver rather fast retrievals. However, the cranking power is not notably reduced, which is a serious advantage. The Superline Spool, introduced with the Spinfisher V serious means that you wouldn’t have to tie backing on your reel when you are using a braid. The line capacity of this one is set to 215 yards of a regular 15-pounds braid or about 165 yards for the 20-pound braid. If you truly aim to catch some substantial game fish out in the open waters, this is a reel which could take you there. Even though the Spinfisher V series comes with 11 different models, this one seems to be the most versatile and multi-functional one. You’d be capable of using it for a lot of various occasions which is quite convenient. Both trolling reels and rods are highly specialized towards this particular technique. The tactic is used for fishing a range of different species but the one thing that is constant is the dragging of the lure. Trolling could be as simple as letting out a regular crankbait with nothing but a hand-held rod and convenient reel and counting Mississippi’s. However, the secret behind using this technique properly is the ability to replicate your success. This is where are a specialized trolling reel is going to make a tremendous different. The line counter is amongst the main differentiators which set apart a trolling reel from other ones. Of course, you’d also want to look for additional properties such as extruded and reliable construction of the frame and the spool, serious ball-bearing system due to the constant pressure applied to the reel. Since you’ll be using the reel constantly, it’s also important that it’s lightweight and comfortable. That’s a reel that we like to classify as a true wonder of engineering. This is a brute of a reel and it’s a perfect addition if you are a passionate about trolling techniques. The reel is specifically designated to tackle some seriously big fish but it’s also capable suited for a range of different applications as well. You can rest assured that it won’t disappoint you. The reel itself comes with a splendid design and a modernistic black and yellow coloring. There are absolutely no extra novelty features and everything is optimized for truly serious trolling. When you’re fishing for that big game, you should rely on the highest-quality reel that you can find and the SQL50LW is here to deliver. The gears found in the reel are engineered out of heavy-duty, machined bronze and it also comes with a pinion of stainless steel. Adding to the overall extruded appeal is the handle which is also quiet massive and a rather solid piece. Penn has made sure that it’s going to remain in your palm when you tackle a marlin or a shark. The drag can also be set up to 20 pounds which is quite impressive but it could also be easily adjusted to fit your current needs. The most impressive feature about the SQL50LW is the capacity lines. They allow you to be aware of the exact amount of line that you have left when you battle a big fish so that you don’t get spooled, as experienced fishermen like to say. This will prevent you from snapping the line and losing the fight. It goes without saying that this is a premium-class trolling reel which is specifically intended to help you out even in the most challenging situations. The fishing reel market is enormous, and there are a lot of different brands available. Daiwa, Shimano, Penn, and Avet are among the top, and we had the chance to try a couple of their models. They are all well-built, and they perform and feel great. The Shimano company was founded by Shozaburo Shimano in 1921. He was a Japanese inventor and designer, and he was always aiming to come up with the best products. He's aim was to be the best in the world, and the Shimano company certainly is. They have been one of the strongest names in biking and fishing equipment for more than 80 years now, and they are responsible for numerous patents that are still widely used. Shimano is focused on precision engineering, and that is exactly what their products offer. The materials used in their production are sturdy and durable, and the products are made with finesse. 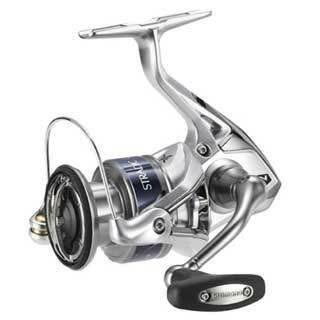 Shimano is a strong fishing reel brand with many models to offer. Fishing reels that come out of their factory are always among the best choices you can make because they will last you for years to come. The Shimano Spin Reel Clam offers a smooth action. The drag system works great and can be adjusted very easily. This reel is lightweight, and it can handle 12-pound fish without problems. The fishing reel works great in saltwater and freshwater and it is a good choice for beginners. Many anglers have Shimano reels as their backup if something goes wrong because they are highly dependable and effective. The Shimano Spin Reel Clam comes with implemented rear drag with a graphite frame and side plates. The QuickFirell feature lets you cast the line with one hand easily. The reel works great in saltwater and it is immune to corrosion. 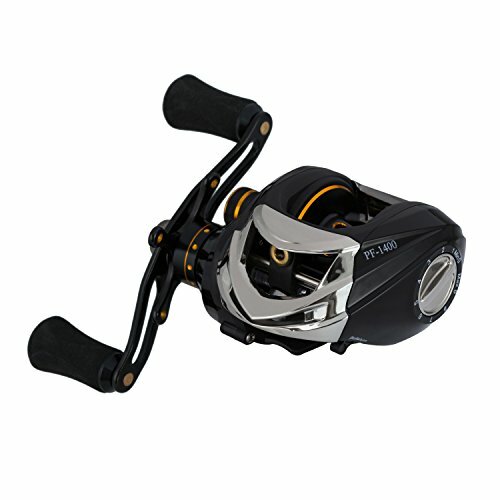 This is a fishing reel that offers many great features, it is very dependable, and the price is not too high. In fact, the Shimano Spin Reel Clam is so popular and well-built, we couldn't find any negative reviews or remarks about it on Amazon. The Shimano Spin Reel Clam was not designed to be a first-class reel, but it is well-worth the money you pay for it. Getting used to this reel is simple and it's durable, lightweight, and dependable. It is good for beginners, and it is great for advanced anglers too. Penn is one of the oldest and most popular brands linked to saltwater fishing. They produce fishing rods and reels that are top of the line. Their models can be used for bass fishing, big game marlin, and tuna fishing. The company was started in 1932 and Penn has been going strong ever since. Penn is a leader in innovation, and they have made a couple of world records. The best anglers in the world use their equipment because of its quality and durability. 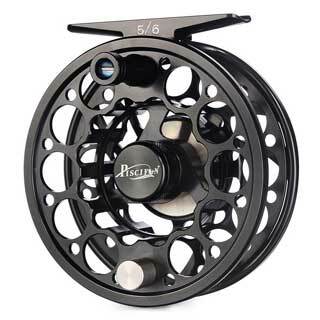 Penn Spinning reels are among the most recognizable reels in the world. They feature a graphite body, and many models can be upgraded. They are durable and long-lasting and were designed to withstand pressure caused by the drag. Some models were designed specifically to catch big game saltwater fish. You can be sure you got the best no matter which Penn reel you own. Penn Battle II Spinning Reel is one of the legendary models that come from Penn. It features the Penn's HT-100 Versa-Drag washers keyed into the spool which allows both sides of each drag washer to be used. This increases the maximum drag that Battle II can handle, but it also adds more range. Battle II starts up smoother than most other spinning reels in the market which is one of the reasons why it's so popular. You can see right away that Penn Battle II Spinning Reel was made to last. The entire body is made out of metal that can withstand the corrosive effects of saltwater. The drag washers are carbon fiber and the model also features an instant anti-reverse bearing which stops the life from tangling up. The bail wire is made out of heavy duty aluminum, and it also features line capacity rings. This particular model comes in a couple of different sizes to tackle fish from all sizes. Penn Battle II is made to be strong because it's mostly used to catch big game fish that weight hundreds of pounds. It is a relatively cheap option, and it is well-worth the money. The first Daiwa spinning reel was created in 1955. Since then, the company has worked hard to produce top products which helped it to become one of the most popular and influential fishing gear companies in the world. The first Daiwa store in the United States was opened on September 26, 1966, in California. They are still one of the most popular and dependable fishing reel brands in the world. Daiwa was always striving for perfection which has driven them to many innovative inventions that fit right at the top of the market. The list of their products is long, and they all have unique features and designs. Durability is one of the primary qualities of Daiwa fishing reels as they are made out of the best materials. Daiwa fishing reels are regarded as one of the best choices, and the company is still working hard to improve them even further. If you are looking to buy one of the best baitcasting reels on the market, Daiwa Tatula Baitcasting Reel TATULA-R100XS 8.1:1 is an excellent choice. This model was designed to be durable and to be good enough for professional anglers. It offers a rugged gear train that is fully supported in a rigid aluminum housing. Fishing in salt water will not damage or corrode the reel because of the materials used in its assembly. The Tatula Baitcasting reel features two handles that work very smooth. The handle can be switched from the right to the left side at any time. It also features air rotation; a large 90mm swept power to handle that has a lightweight design. The UTD or Ultimate Tournament Carbon Drag offers 13.2 lbs of maximum drag, and it was meant for professional anglers that compete in sport fishing tournaments. Seven ball bearings and one roller bearing are placed in the aluminum house, and they offer an 8.1:1 gear ratio for smooth reeling. The Daiwa Tatula Baitcasting Reel TATULA-R100XS 8.1:1 fits in the medium price range, but it offers much more features and quality than it costs. It is a good choice for advanced anglers. Avet is one of the newer names in the fishing industry. The company was started in 2002 by two brothers who were into catching big saltwater fish. Before that, they were working as mechanics for other anglers, and that is where they learned everything about fishing reels. Their products are high-performance new line reels meant for salt-water fishing, and they cost less than their competition. Avet Reels allow you to completely stop and spool to adjust the drag while the fish is still on, or you can just break the line off if it gets snagged. This feature is unique, and it's called a spool lock. Another feature that can be found only on Avet reels is the casting control that is performed with a lever. It allows the angler to reduce drag and prevent over spooling and backlashing when casting a bait. The Avet SX Reels can take up to 25lb pounds of drag. They have a slightly wider spool than most other models, and they represent a compact and very durable reel. Avet reels are known for their quality and durability, and the SX reels are the same. Avet Reels were invented by two brothers who wanted to create the best possible fishing reels, and that is what they did. Every reel has a cast control system that reduces backlashing to a minimum while providing 9 pounds of drag and a flawless spool. The components used to create SX reels are all corrosion resistant and extremely durable. The AveBrake drag system is one of the best and lightest lever drag systems in the world. The single speed reels are used to fish with heavier lines because they are very durable, but most other models feature at least six different speeds. 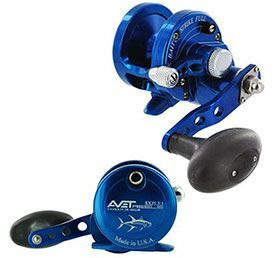 The casting system is probably the most praised feature on the Avet spinning reels because it works without problems and every cast is successful. With a little practice, anglers can improve their casting distance even further. 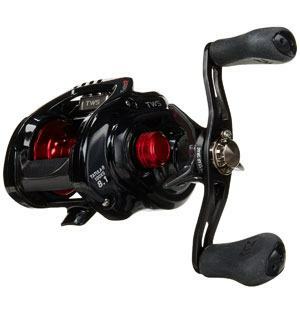 The Avet SX Reels outperform other fishing reels in the same price range.